August 25th – Los Angeles, CA- The 20th annual Miss India America pageant took place on August 25th at the Sheraton LAX and was hosted by Jinnder Chohaan. 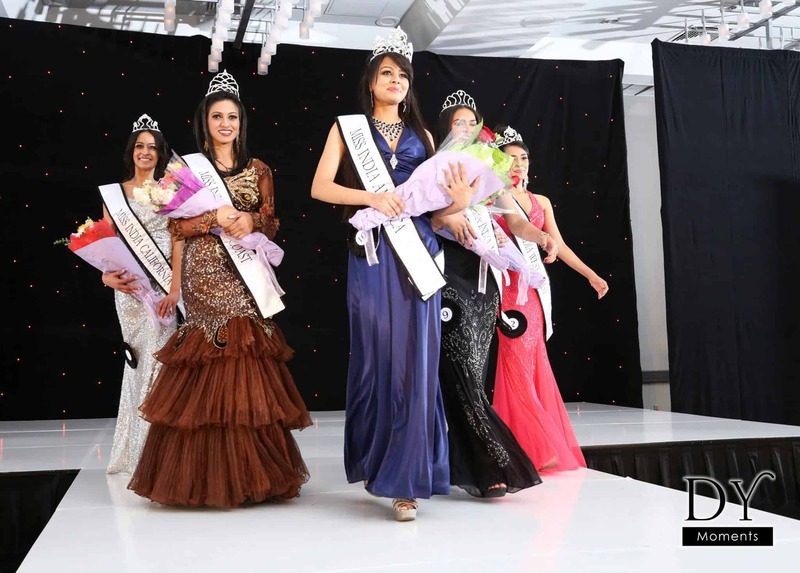 17 contestants took the stage and competed for titles including Miss and Mr. India America. The hundreds of attendees ranged from Bollywood to Hollywood, guests included Eriq La Salle (ER), Caroline Lagerfelt (Gossip Girl), and Sunny Leone (Jism 2), George Blodwell (Celebrity Stylist), Naureen Zaim (International Model), Vik Sahay (Chuck), Sayo Harris (Miss Japan) among others. Sponsors included Jay Gill of GillAutoGroup.com, South Asia Magazine, Star TV, Marinello Schools of Beauty, Sacha Cosmetics, and JinModels.com. The evening began with a red carpet reception and continued on to a dinner catered by Chakra, a Michelin-rated restaurant with two locations in Los Angeles. After a dinner and dessert of Indian delights, the pageant began with contestants from all over the country showcasing their talents and poise in the talent section, gown presentations, and traditional wear section. The judges included Eriq La Salle (ER), Steven Bauer (Scarface), TV host Tony Potts (Access Hollywood), director Shirish Kunder (Joker), Chelsea Autumn (Millionaire Matchmaker), director Anil Sharma (Gadar), Sarah Fasha (Miss Egypt 2013), Caroline Lagerfelt (Gossip Girl), and Faran Tahir (Star Trek). It Like Beckham), and Kiely Williams (Cheetah Girls). Cloud 21 PR’s team consisted of – Allison Zahigian, Diana D. Drumm, Patrick McClanahan and Shoma Lodhia. They were engaged in streaming and syndicating the event LIVE over several Social Media Channels including: Facebook, Twitter, Instagram, Pinterest, Google+, WordPress, LinkedIn to name a few. The content received over 3.2 million impressions during that period.